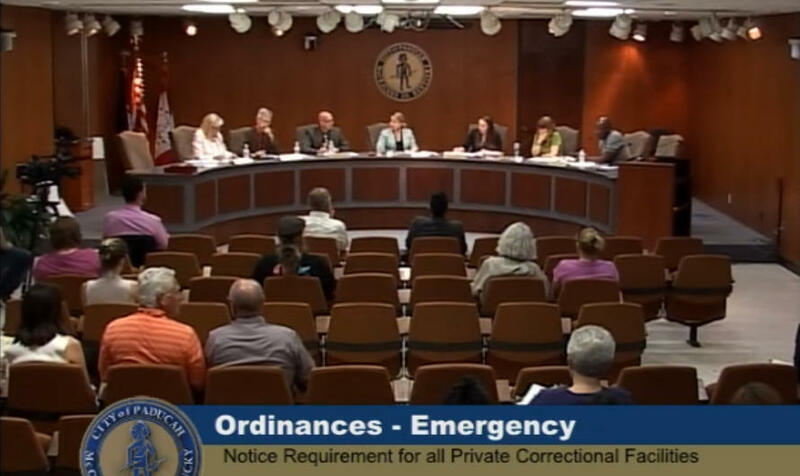 Officials in a western Kentucky city have voted in favor of an ordinance that requires private correctional facilities to more quickly notify law enforcement agencies when there is an escape. Commissioner Richard Abraham says the vote comes after an escape on August 12 when the public wasn't notified until 12 hours afterward. He said more than 160 inmates have escaped from the facility in the past five years. Abraham said most halfway houses in Kentucky are not located in residential areas. He said the policies put in place by this ordinance will only act to ease the symptoms of a bigger issue. “The problem is the facility itself, where it is. So the problem won’t be taken care of, in my opinion, until the facility is no longer there,” Abraham said. The ordinance requires correctional facilities to notify local law enforcement and all correctional facility employees within 30 minutes of an escape of - or otherwise unaccounted for - inmate, parolee or probationer. McCracken County Commissioner Bill Bartleman has said that he had spoken with Public Safety Cabinet Secretary John Tilley and Department of Corrections Commissioner Jim Erwin in the past about moving Keeton, but they declined.